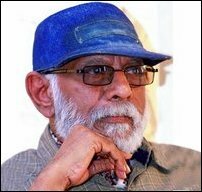 Balu Mahendra's first film as a director, Kokilaa, a Kannada film won him the National Award. Santhiyaraagam and Veedu in Tamil were two of his later films, which established him as a formidable force in Indian cinema. Balu Mahendra in the tradition of great film makers of the world Akira Kurosawa of Japan, Majid Majeedi of Iran, Satyajit Ray of Bengal, Adoor Gopalakrishnan of Kerala and Lester James Pieris of Ceylon, was a poet who used his shots, scenes and sequences, not words to write his poetry on celluloid, says Attorney-at-Law and an experienced theatric Mr K Sivapalan from Trincomalee, paying tribute to Balu Mahnedra. Moonraam Pi'rai (Tamil) which was later made in Hindi, titled ‘Sadma’ was a well made film although he made some compromises for the mainstream Indian cinema, says Mr Sivapalan adding that Balu Mahendra, in his young days brought out hand written little magazines in Tamil in Batticaloa. An Eezham Tamil artist who met him recently said that Balu Mahendra was passionate about the Tamil language and to his country of birth, although he was not open about it. Following a conversation with the LTTE leader Mr V. Pirapaharan, he was prepared to help the artists from the de-facto state of Tamil Eelam during the times of the peace process, the artist further said. Watching the shooting in Kandy of the English film ‘The Bridge on the River Kwai’ (1957) by the famous Director David Lean as a young student from Batticaloa was his inspiration to become a cinematographer and director. Bala and Vetrimaaran who won the Indian National awards for their films Naan Kadavu'l and Aadu Ka'lam respectively were his film students and assistant directors. His recent film Thalaimu'raika'l where he was the cinematographer, editor, director and main actor won him much acclaim. He leaves behind his wife Akila and son Sangi Mahendra.